You were beach hopping along the eastern coast of Central America. Ambergris Caye, Roatán, and the Corn Islands. You were ready to leave for Costa Rica, when someone mentioned they were heading to San Andrés. San Andrés? It’s off the coast of Nicaragua. Or it’s part of Colombia. Maybe it’s English. No one really knew, or could agree, on the specifics. But go, you’ll love it, they all said. So you did. You flew to San Andrés, a coral island in the Caribbean Sea. You landed in “El Centro,” the capital on the northern end of the island. You drove south, along the ring road. You stopped at Restaurante West View—though restaurant is a generous term for a fish stand—for rondon and a fresh coconut spiked with rum, plus a tour of their garden, which seemed to have every type of fruit tree imaginable. And you arrived at Playa Tranquilo in time to watch the sun set from the pool that’s surrounded by buddha sculptures and tiki torches. San Andrés is part of an archipelago called San Andrés, Providencia, and Santa Catalina. It’s 140 miles east of Nicaragua. Its heart is Colombian, but its soul is English. Or maybe it’s the other way around. English Puritans arrived on the Seaflower in 1627. The Spanish and pirates attacked the islands, but Colombia ultimately claimed them. Since the islands are 470 miles from Colombia though, the English culture never disappeared. Hence everyone’s confusion. Now it’s time to start exploring. Start inland, at La Loma. “The hill” is home to the Baptist Church. The red-roofed church, built in 1847, is the oldest place of worship on the island; its spire serves as an unofficial lighthouse for approaching boats. Climb El Cliff, the highest point, for views of “mar de los siete colores” (the seven-colored sea) and the Seaflower Biosphere Reserve that encompasses the island, the offshore islets, and the surrounding turquoise sea. Then detour to La Laguna, a large pond surrounded by coconut palms and breadfruit trees. White herons call the pond home, and little alligators may be watching you from the shoreline. San Luis, on the east coast, has traditional wooden houses and some of the best—and quietest—beaches on San Andrés. 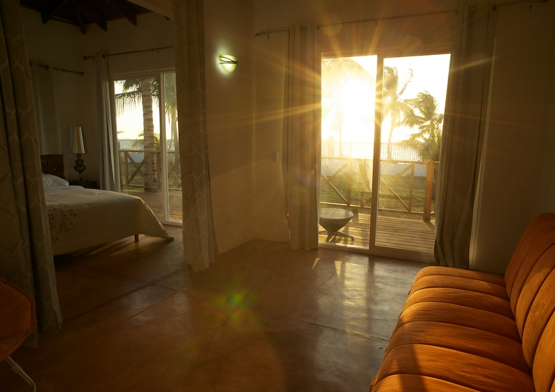 You could have Jenny Bay, Sound Bay, or Cocoplum Bay all to yourself. Head to the southern tip to see Hoyo Soplador, a geyser that spurts sea water up through coral rock when the right wind and tide collide. Scuba dive among brain, star, fan, and finger coral on the west side of the island. And find buried treasure at Captain Morgan’s Cave. Eventually, board a boat and head north. 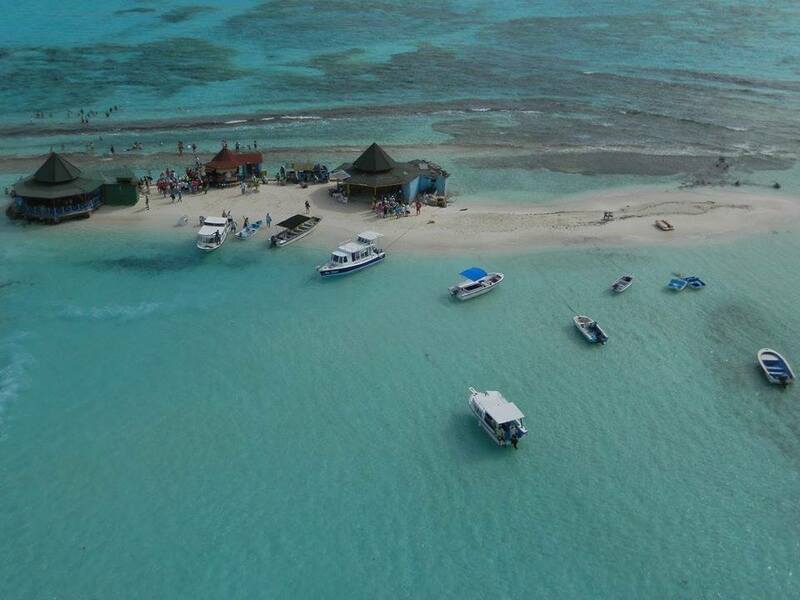 Visit El Acuario, a sandbar where fish eat right out of your hand. Walk through the shallow water to Haynes Cay, a small island whose palm trees offer some much-needed shade. Then stop at Johnny Cay for fried fish, coconut cocktails, and music. This islet isn’t deserted, though you wouldn’t want it to be. Between the calypso and reggae sounds—plus the warm water, the drinks, and the view—you may have finally found your perfect Caribbean island. There will be no more beach hopping, at least for now.